Hand anatomy, computer artwork. At centre are the metacarpel bones of the palm of the hand. At left they join to the phalanges, the finger bones. At right they join to the carpal (wrist) bones. The carpal bones articulate with the bones of the forearm, the ulna (lower of two) and the radius (upper of two) to form the wrist joint. 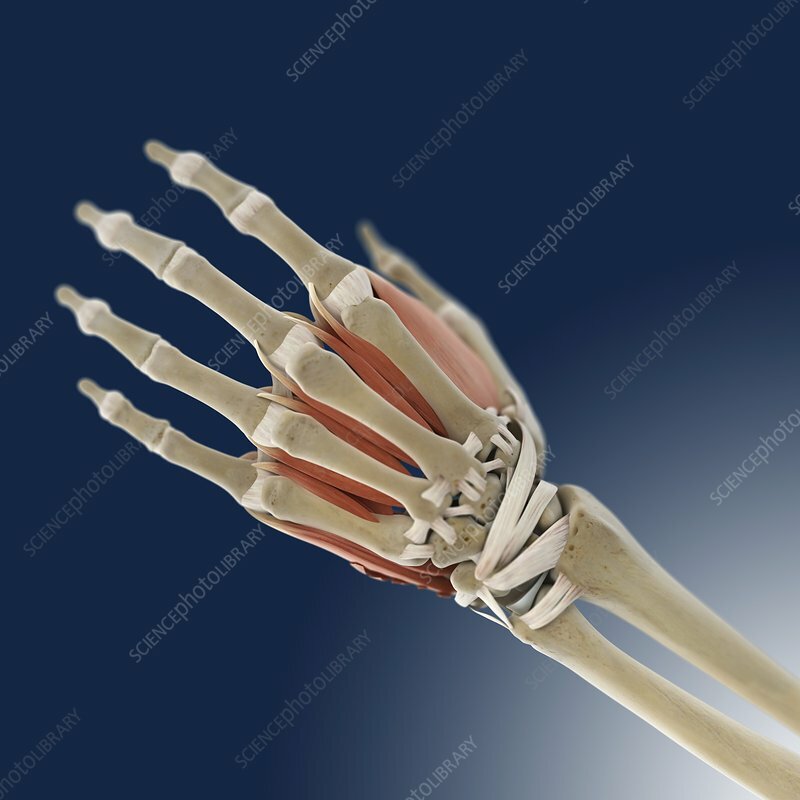 Between the metacarpals is the dorsal interosseous muscle, which acts to straighten the fingers. On the outside (bottom) of the palm is the abductor digiti minimi muscle, which acts to pull the little finder outwards.